Some users find they like title view the best in all circumstances as it's the quickest way to scan through news headlines, however it's especially useful with mobile devices like phones that have limited screen resolutions. Here's what you see after the page loads. The image below is what you would see on a device with a resolution matching the iPhone in portrait mode. 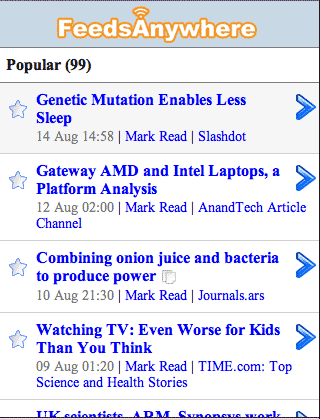 This is the Popular View and there are 99 unread articles. 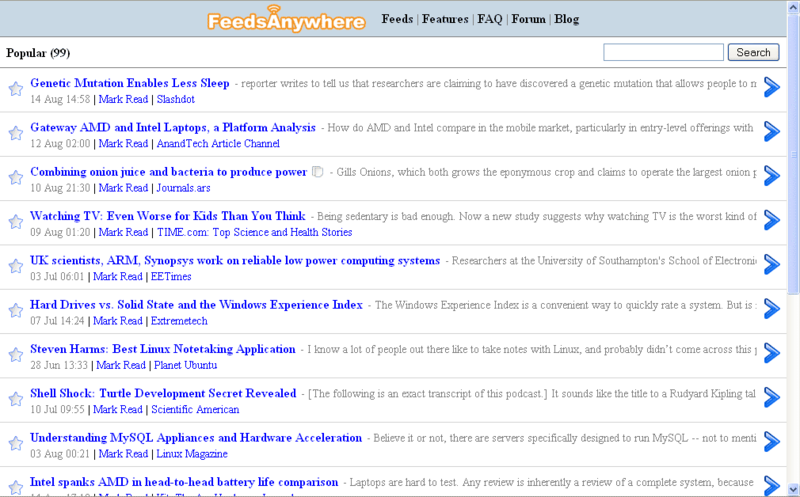 The Popular View shows the articles that have been viewed by the most readers. 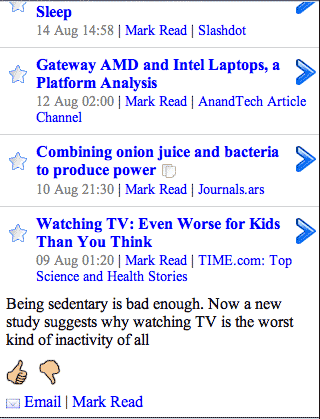 The 4 titles colored in blue are the article titles. Clicking these titles expands the view to include the article content. Had you clicked the you would have been taken directly to the full article at Time.com, skipping the expansion step. The next stop in the feature tour is Combined View.